When a new school year is getting ready to kick into session many students and parents are considering a new tablet to fit their needs. 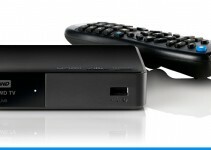 Some of the things to consider are battery life, supported applications and even overall processing power of the unit. Sometimes deciding on a tablet is based on what operating system you prefer. No matter what your preferences are you are sure to find a match with one of our below recommendations. What are college students looking for in a tablet? The best tablets for any college students are ones that are lightweight and slim, as they are always on the go from lecture to lecture. Mobility of these tablets is key. No student wants to be carrying around a heavy old tablet as well as all the other stuff they need. A tablet should also be sleek and stylish, because it’ll be used for not only curricular and extracurricular computing activities, but also for personal and social use. Below we have compiled a list of the top ten tablets sure to fit the needs of any student. This tablet makes our list for a multitude of reasons. For starters it comes loaded with Windows 10 already installed. The unit also comes with a convenient keyboard dock for taking notes in class which is always a plus for any student. This unit also features a quad core processor which will be sure to fit the needs of any student. 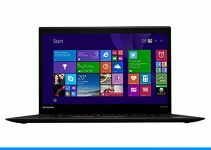 Check out these other great 2-in-1 laptops. The best feature of this tablet is its rather impressive battery life clocking in at an estimated 11 hours for movie playback, longer for less demanding tasks. There is 4GB RAM and 64GB storage packed into the tablet. Also, this table comes with reversible 3.1 USB technology, Micro USB and Micro HDMI ports as well as the audio jack. This is yet another reason this tablet makes the list. 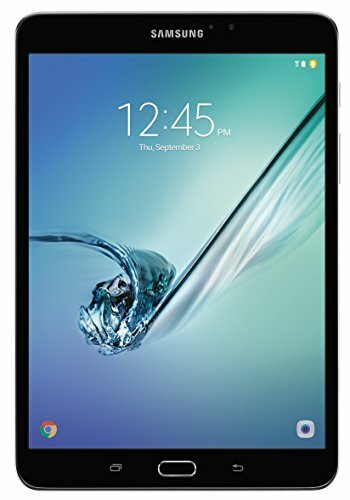 The Samsung Galaxy Tab S2 is another great tablet for students. It features an amazing super AMOLED screen which is sure to give superior performance no matter the viewing environment. This tablet is also extremely light weight and portable with the larger 9.7” tablet weighing in at only .86 pounds. As for processing power this compact model packs quite the punch. It features an octa-core processor which is sure to keep up with a busy students day to day activities. The Apple IPad 2 makes the list due to its convenient portability. One of the most important things to consider with a tablet is how easily you will be able to transport it to work on the go. When it comes to that factor the Apple IPad 2 is sure to deliver. The tablet also features an amazing bright retina display which is sure to delight. One more important feature of this product is its rather impressive ten hour battery life. The Microsoft Surface Pro is definitely an amazing piece of technology. The tablet features a handy attachable keyboard option which is always a must for taking notes on the go or working on a last minute paper. The tablet is sold with and without this feature so make sure it’s included when shopping for it. The tablet also ships with the latest Windows 10 by default. Its screen boast an impressive display which incorporates PixelSense. This technology delivers extremely high contrast and low glare for a premium viewing experience. The Surface Pro is also extremely light given how much power it has weighing in at only 1.69 pounds. 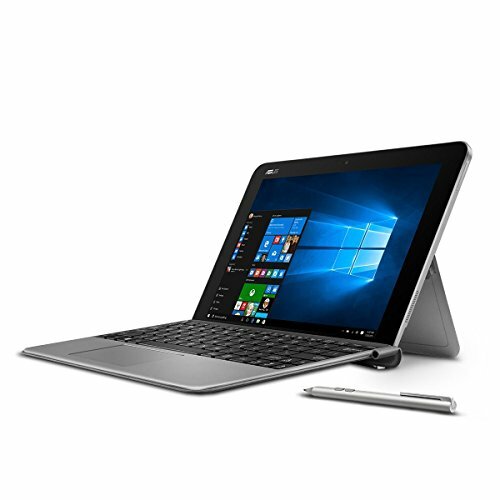 One of the best features of this tablet is that it comes with the latest Intel Core m3, i5 and i7 processors, and lots of options for RAM and storage capacities to choose from. These processors are some of the top of the line which will ensure you have an exceptional operating experience. 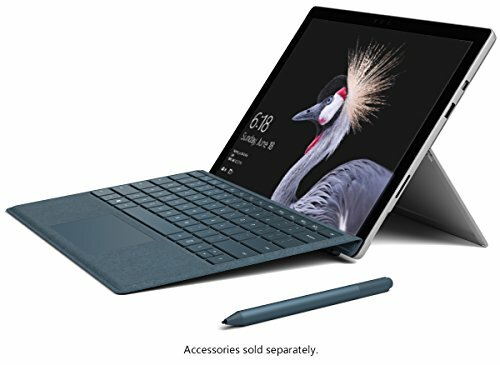 In addition to this, the new version Microsoft Surface Pro boasts up to 50% more battery life than it’s predecessor the Microsoft Surface Pro 4, with up to a staggering 13.5 hours batter life. Impressive to say the least. 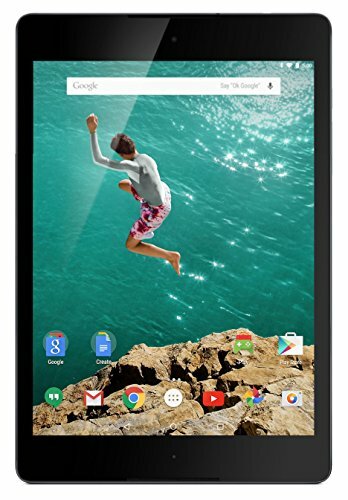 The Google Nexus 9 is the perfect blend of function and portability. The screen is 8.9” which is perfect for viewing but just small enough to carry in one hand. Also, the tablet comes with front facing HTC BoomSound speakers which will surely surprise the user for the amount of sound they put out for such a small size. The Nexus 9 also features a 64-bit processor which ensures that you will have a seamless experience switching between tasks on your Nexus device. Another benefit of this tablet is that it comes with Lollipop, the latest Android operating system update. The device also has an optional magnetic keyboard which doubles as a stand. The Apple IPad Mini proves that big things can come in small packages. The tablet is the lightest and thinnest of any of its predecessors. However, do not let its small size fool you. The device features a 7.9 inch Retina display with a 2048 x 1536 resolution. The tablet boast over 3.1 million pixels to deliver a delightful viewing experience. 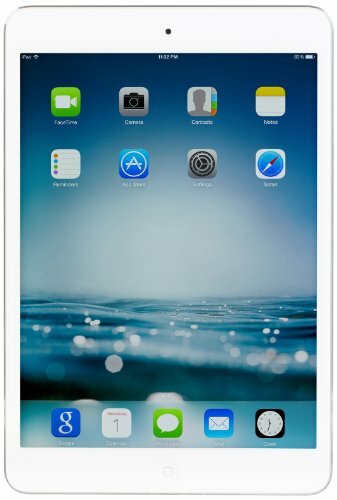 The Apple IPad Mini also comes with an A8 processing chip with 64 bit technology. This ensures that users will be able to enjoy a wide selection of activities from video editing to gaming with this device. The Asus ZenPad S 8 is truly a beauty to behold. It features an impressive 64GB storage option which ensures users will have plenty of storage available. The tablet is eight inches yet weighs only 298 grams. This tablet also features an amazing 74 percent screen to body ratio. The tablet also comes with VisualMaster. This suit of technologies help to optimize your viewing experience when using the tablet with things such as brightness, contrast, sharpness, color and clarity. 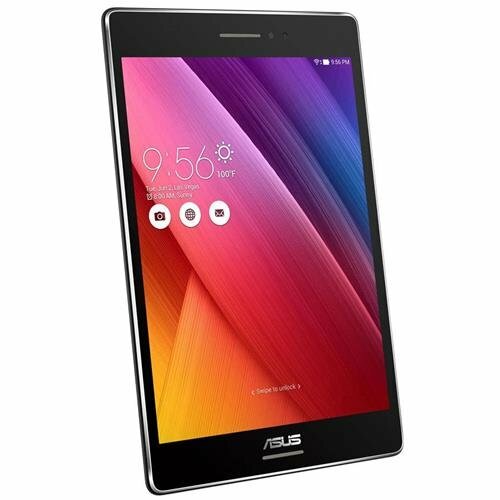 Another interesting feature with this tablet is the Asus Tru2Life+ technology. This technology improves the screen refresh rate when you are watching fast action videos to reduce blur. This is yet another reason this tablet makes our list. Samsung’s latest edition, the Samsung Galaxy Tab S3 9.7 inch tablet is a really versatile piece of kit. Sold as a stand alone tablet, or with the keyboard cover or Staedtler pencil add-ons, this device can function not only as a tablet but also a small laptop, or graphical design tablet. This device uses the Android 7.0 Nougat operating system, powered by a Snapdragon quad core processor. For viewing and listening, the tablet is exceptional, for photos, well it has a 13MP rear and 5MP front camera. For work, the Samsung Galaxy S3 comes preinstalled with many apps to help you work and keep your notes, documents and designs safe and secure. With the included pen, you can switch between touching the screen and typing text effortlessly. 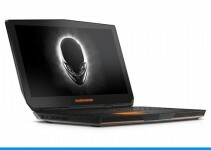 It also features 4GB RAM and 32GB flash memory which further adds to its performance. It’s a great tablet, lightweight and durable with the capability to handle all required tasks in and out of the classroom. The Lenova Yoga Tablet 2 features Intel Atom Quad-Core processing technology. Your tablet comes equipped with Windows 8.1 as well. One of the best features of this laptop for any student is its rather impressive battery life which clocks in around 15 hours. Another added benefit for students out there is that your tablet comes with a free one year subscription to Microsoft Office 365 to give you the applications you need to succeed in your studies. The Lenova Yoga also features a wireless keyboard dock which can greatly expand your productivity. 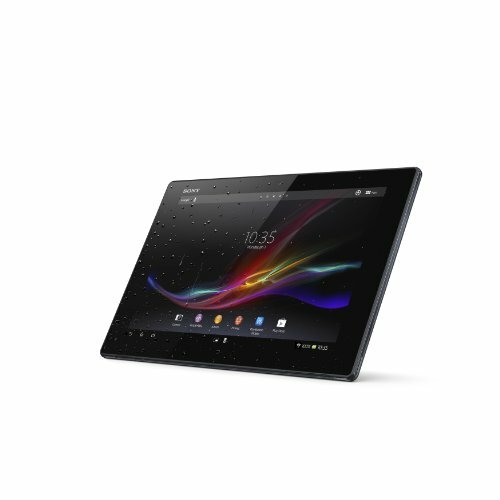 The Sony Experia Tablet Z features an impressive 10.1” full HD display. The tablet weighs in at only 500 grams which is quite impressive for such a large display. Another added benefit of this tablet is its water-resistant design. This is a definite plus for college students who live in shared housing where accidents can happen. This tablet also features amazing sound thanks to technologies such as ClearAudio+ and Xloud which are sure to delight its users. This tablet also features superb connectivity with other technologies. For instance this tablet is able to double as a universal remote with compatible TVs. That is always an added bonus for anyone who has lost the remote in their couch at some point. No matter what you’re looking for one of these tablets is sure to deliver. All of these selections offer excellent service and portability which are two of the most important elements to consider when purchasing a tablet. They also boast impressive screen resolutions and the ability to multitask which is always of importance for students out there. We hope you enjoy our listing of tablets for your new school year.